Home/Blog / How Should I Prepare for Post-Bariatric Plastic Surgery? When getting ready for plastic surgery after massive weight loss, it is critical to the overall safety and efficacy of treatment that you closely follow the personalized pre-operative instructions provided to you by your plastic surgeon. Having said that, the guidelines listed below are some of the more general ones applicable to most individuals. They can be beneficial in helping you understand what’s required to properly prepare for your surgery. Be at or very near the lowest weight that you can reasonably attain. Any significant weight loss after treatment may lead to some increased skin laxity or, in some situations, the development of more excess skin. 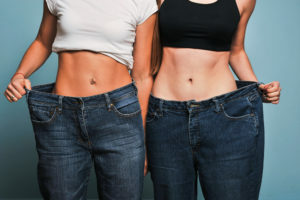 This can lead to some deterioration of the results of your body contouring procedure though you still will look far better than if nothing was ever done at all. Do not diet immediately prior to your surgery. You want to be in an ideal nutritional state for your surgery and dieting immediately before can have an adverse effect on the postoperative course in a variety of ways including as regards healing. If you have any questions about this, ask your plastic surgeon. Arrange for someone to drive you home after surgery. Given the magnitude of the surgery, in addition to the usage of general anesthesia, you will not be able to drive yourself home after the procedure. This is true whether or not it is done as a same day outpatient or if you spend the night in an overnight recovery facility and for MANY reasons. Make sure that you have help at home for at least the first few days following surgery. Someone needs to be with you for at least the first 24 hours after your surgery. Generally, you should arrange for help for the first several days after surgery to assist you in your recuperation including walking, certain activities, preparing meals, making sure that you are taking your medications and doing so appropriately and dealing with some other responsibilities that you may have on a daily basis. If you have children at home, they will need to help you with them. Avoid taking Aspirin, Ibuprofen and other blood-thinning medicines leading up to your procedure. These types of medications can increase the risk of bleeding which can lead to complications both during and after surgery. Your plastic surgeon should provide specific details on which particular medicines to discontinue and how far in advance to do so. Typically, this may be starting from ten days to two weeks prior to surgery. Refrain from smoking for several weeks prior to your operation. Smoking can, and usually does, impair the healing process, increasing the risk for a multitude of problems, some that are quite major. It is generally required that you quit smoking, including vaping, at least four to six weeks before surgery in order to reduce the risk for these untoward issues. Your overall risk is still increased compared to those who have never smoked but at least it should be markedly reduced versus if you continued to smoke. Even cheating a few times, though not disclosing it to your doctor, can have an adverse overall effect. You should also avoid second hand smoking. Ultimately, it is important to reiterate that these points are merely general recommendations that apply to most patients undergoing post-bariatric plastic surgery. Specific preoperative instructions should be provided by your plastic surgeon. Make sure that you follow them exactly. If you have any questions about them or other issues—ask! If you are interested in more information, or if you are considering plastic surgery after massive weight loss and wish to schedule a consultation with Dr. Steven H. Turkeltaub, please contact our practice today.